Ebola, H1N1, the bird flu, sinus infections…. Viruses – they are an unfortunate fact of life here on this earth. Some are merely a nuisance, like the many that cause the common cold, but others, such as Ebola, can be very dangerous, even life-threatening. How concerned are you about the ebola virus, anyway? Do you think it is a real threat to us in the U.S.? And let’s not forget, whether it is a threat to us or not, it is a heartbreaking epidemic in certain countries. Either way, no one wants to succumb, so let’s discuss some ways to protect ourselves! Believe it or not, there are some great natural ways to protect yourself. Follow these 6 steps to strengthen your immunity and protect yourself from all the viruses that are going around this time of year. 1. Do use these anti-viral, immune boosting herbs and foods in your diet. There are so many wonderful choices here, so I am just going to share what we use on a regular basis. If you are on any medications, have a special health condition, have allergies, or are pregnant or nursing, please do your research to be sure that you don’t experience any ill effects from any of the herbs or supplements suggested. I have put in parentheses the form that I tend to use most, but you can usually find multiple preparations of these various supplements. Generally, you will find herbs in the form of teas, tinctures or capsules, and each have their own benefits. Teas tend to be gentler and soothing, where as a tincture will be more concentrated, and a capsule will have more of a slow acting affect. Also, please know that every single herb/plant discussed here has multiple uses and health benefits; I am merely stating the benefits as they relate to anti-viral and/or immune function. 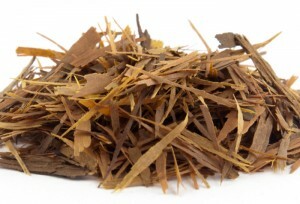 Pau d’arco (tea) – this is actually a bark, not an herb. It is the inner bark taken from a tree in the Amazon rain forest. I like to take this in tea form. It is strongly anti-fungal in nature, which makes it important for those who suffer from candida, or yeast infections. It also is anti-microbial, detoxifying, and boosts the immune system in general, which makes a daily cup of pau d’arco tea a nice tonic for your health. 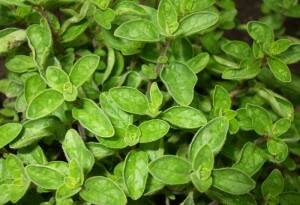 Oregano (oil) – This common kitchen garden herb can also be used in tea form (which is great for congestion), but I like the strength of the oil when I am really fighting off something. Note that it is very concentrated, and must be diluted. It’s anti-viral, anti-fungal and anti-bacterial properties make it a must have for any herbal medicine chest. It can be used orally or topically (again, in diluted form) and as an inhalant for bronchial issues (put a drop or two in steaming water and breathe it in). 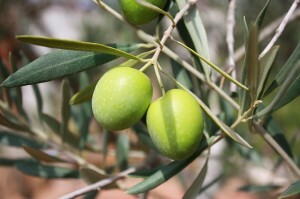 Olive leaf extract (syrup, tincture, pill) – We all know that olive oil is beneficial to our health, but have you heard of using olive leaf extract? Olive leaf extract has multiple benefits, such as lowering blood pressure, but for our purposes, it contains wonderful anti-viral, anti-bacterial and anti-fungal properties. Use it to boost general immunity or shorten the life of a cold or flu. I have used it with great success for respiratory illnesses, especially. I like Barlean’s Olive Leaf Complex syrup because it seems very effective and my kids will take it with no problem. 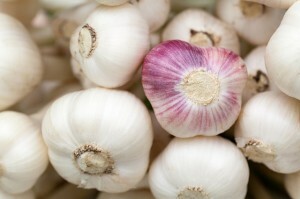 Garlic (pill, food) – I love garlic! I love it both as food and as natural remedy. Not only is it delicious, but it is great for fighting off infections of all sorts. It is a great immune-boosting addition to your diet, adding wonderful flavor to food. I cook with it and eat it raw regularly, but if I feel run down or like my body is fighting off a virus, I take it in pill form as well. I have found it very beneficial in fighting off bronchitis and other respiratory and sinus related illnesses. 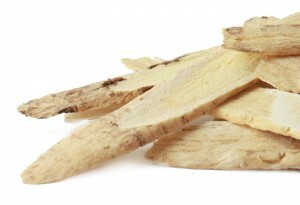 Astragalus (pill, tea, food) – This root is commonly used in Traditional Chinese Medicine. It is an adaptogenic herb, which means it is so versatile that it can serve your body in multiple ways – toning and strengthening many different body systems. It a wonderful anti-viral and immune booster. It can be used in cooking and taken in pill form. I primarily use it in pill, tea or tincture form. You will often find it added to anti-viral or immune boosting herbal formulas. 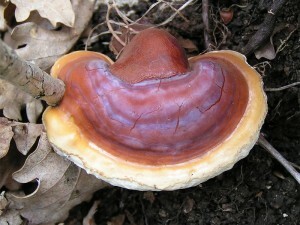 Medicinal mushrooms (food, pill) – Here is another example of food as medicine. Did you know that certain mushrooms pack a very powerful immune boosting punch? Some of the ones that I most commonly use, reishi and shiitake, you will find frequently in Asian dishes – think a nice, steaming bowl of hot and sour soup. I don’t care for the texture and taste of mushrooms in my cooking, but I do enjoy Asian food, and I do use these in pill form on a regular basis. While I have used each of these herbs individually, even blending my own teas, at this point, I find it most effective and efficient to look for anti-viral formulas that are pre-blended (it’s the phase of life I am in – time is a valuable commodity to me). There are MANY different formulas out there, but I have been using Kyolic Immune Formula. I like the combination in it (which includes many of the herbs I mentioned), and it seems effective. It can be used as a preventative on a daily basis, which I like. As I am writing about each of these wonderful herbal medicines, I realize that they could all have their own post about their properties and benefits. This article is meant to be an overview of some of my favorites. I am sure there are many that could be added. I’d love to hear some of your recommendations! 2. Do use essential oils. Have you ever tried these potent plant extracts? They are useful in so many ways! Almost every essential oil has anti-viral, anti-microbial, and anti-viral properties – and so many varied uses! They are so potent, that most of them need to be diluted before using. For congestion, a drop or two of peppermint oil in hot tea will clear your sinuses out. Or else you can blend Eucalyptus or Peppermint Oil in some carrier oil (like olive, almond or sunflower oil, and rub it on your back, chest, and the bottom of your feet. The oils absorb through your skin right into your bloodstream. I rub this on the bottom of my kids feet to help stop them from coughing at night. It is amazingly effective! You can also make a room spray or defuse essential oils in a burner to disinfect the air in your home. 3. Do supplement with immune boosting vitamins. During the “cold and flu” season, we supplement with probiotics, Vitamin D, Vitamin C, and an immune formula, besides our regular multivitamins. 4. Don’t take antibiotics unless you absolutely have to. Seriously! That sinus infection that doesn’t seem to go away? Chances are it is viral, or even fungal, to begin with, and antibiotics won’t help it. They will, however, deplete all the beneficial bacteria in your gut, leaving you more prone to recurring infections. Once sinus infections get established, they take time to run their course. Your best defense is to stay away from sugar, eat light and healthy, supplement appropriately and get plenty of rest. Sometimes antibiotics are necessary to take, but they will be much more effective and your overall immunity will be stronger if you don’t take them often. 5. A healthy diet is without question the most important defense to keep your immune system strong and healthy. It is essential to drink plenty of water, herbal teas, no soda, eat whole foods, lots of fruit and vegetables, and stay away from sugar and processed foods, which weaken your immune system. When I was eating my cleanest for an extended period of time, I literally didn’t get sick for years. Your body’s cells are formed from the food you eat. What does that tell you about the importance of nutrition to your health? It is amazing to see our bodies’ ability to heal and be healthy from eating healthy food. No supplement will accomplish for your body as much as proper nutrition does. 6. Ranking right up next to proper nutrition is getting enough sleep. When your body is worn out on a regular basis, it doesn’t have the chance to regenerate. Your immunity is weakened, and you become more susceptible to whatever illness comes your way. With life being so busy, it is easy to scrimp on sleep. I have discovered, though, that it is a shortcut that I can’t afford to take. Not only do I not feel well, but I notice that I am very susceptible to getting sick. How about you? How do you stay healthy?